Art Belongs to the People! 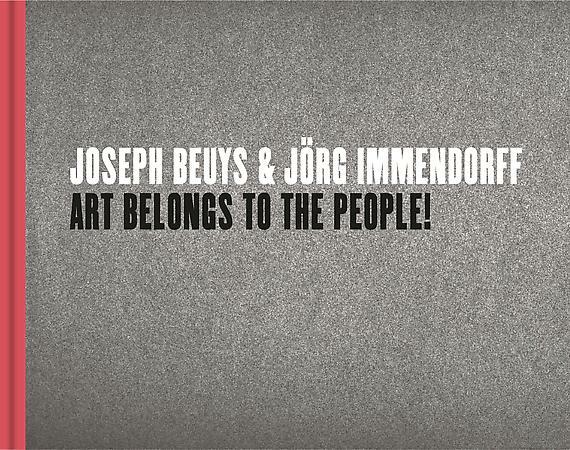 Published on the occasion of the exhibition Joseph Beuys & Jörg Immendorff: Art Belongs to the People!, presented at the Ashmolean Museum of Art and Archaeology in Oxford, England from 10 April 2014 to 4 January 2015. Essay by Sir Norman Rosenthal; forewords by Professor Christopher Brown CBE and Andy and Christine Hall. Hardcover; 132 pages; full image plates; 220 x 280 mm.